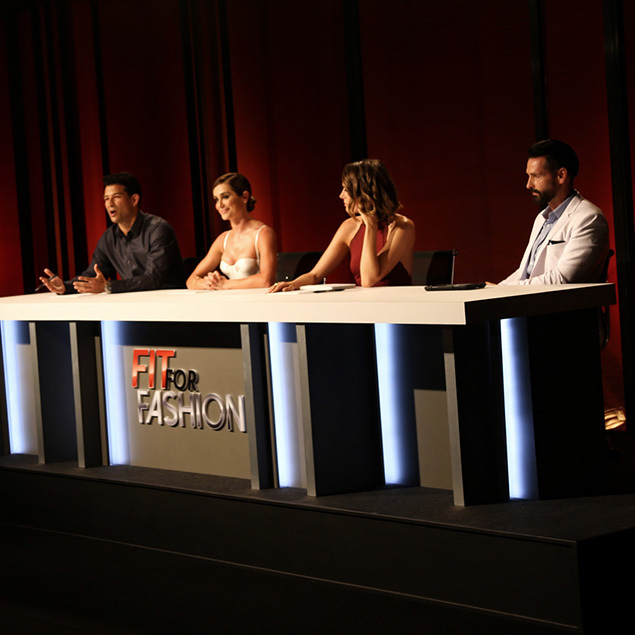 Fit for Fashion, the first-of-its-kind reality TV series has unveiled its cast of 12 international contestants at a glitzy event in Kuala Lumpur. The contestants will be competing for the USD100,000 top prize and the series will premiere across Asia on StarWorld, Asia’s leading female entertainment channel on 16 October. All of the contestants live and work in Asia in countries including Singapore, Malaysia, Myanmar, Hong Kong and the Philippines. However, many also originally come from further afield with the US, UK, Australia, South Africa and Russia all being represented. Vanessa Ammann, 25 – Vanessa is from Cebu in the Philippines and is currently a mermaid coach. Fred Burnard, 36 – Fred currently lives in Boracay in the Philippines, but is originally from South Africa. Citira Corrigan, 33 – Citira is originally from Australia and spends most of her time looking after her three precious sons. Her mother is from Indonesia and her family lives in Jakarta. She currently lives in Singapore. Jerald Foo, 27 – Jerald was born and bred in Singapore and works in Sales and Marketing. Chelsey Hall, 27 – Chelsey is from the UK, but currently lives in Boracay in the Philippines, where she runs a charity called ‘Babies of Boracay’. Matthew ‘Matty’ Kosub, 28 – Matty is an Australian and was working as an actor at Universal Studios in Singapore for the past year. He currently works as a Head Usher in a theatre in Melbourne. Andrew McCarthy, 26 – Andrew is half American/Irish and half Chinese. Andrew was raised in Hong Kong. He is currently starting an electronics trading company, clothing line and alcoholic drinks company. Shiva Nithiabala, 37 – Shiva is from Malaysia and has just returned to the country after spending 13 years working in Mongolia. He runs his own business. Kristina Pakhomova, 22 – Kristina is from Russia, but currently lives in Singapore where she works as a freelance actress and model. Rusty Thompson, 32 – Rusty is of Filipino American heritage. He has served in the US Army and is currently studying for a Master’s degree in New York. Hema Lata Veerasamy, 25 – Hema is a medical graduate from Malaysia. She can speak five languages and is currently awaiting her job posting with the Malaysian Government. Ming Wolf, 19 – Ming, the show’s youngest competitor is of German/Burmese descent and is currently a student in Singapore studying Interior Design. These 12 contestants, plucked from all walks of life, will face a range of fitness and fashion challenges which will push them to their limits over the course of the show’s 10 episodes. They will be guided and motivated all the way by Fit for Fashion’s team of celebrity judges which includes Louise Roe (Host), Christine Bullock (Trainer), Mitch Chilson (Trainer) and Todd Anthony Tyler (Fashion Photographer). The inspirational stories that will unfold as the contestants transform before the viewers’ eyes, are intended to help audience members find their own motivation and exercise their right to go further in life through fitness. Fitness is becoming a fashion statement in its own right and it also gives people the confidence, energy and self-esteem to improve their lives – something the show will try to convey in a fun and entertaining way. Fit for Fashion is produced by Imagine Group in partnership with Fitness First and in collaboration with Fox International Channels (FIC), and will be broadcast on FIC’s leading female oriented channel, StarWorld. Imagine Group, producer of other hit shows such as The Contender Asia, The Biggest Loser Asia, The Challenger and The Apartment has also brought on board a variety of other sponsors and supporters who will be contributing to the show’s success. The contestants will use Fitness First’s training principles and innovative new training programmes to help them get fitter and go further than they (and the audience) thought possible. The UK Government’s GREAT Britain campaign and its Shopping is GREAT pillar are sponsoring the fashion element of the show. GREAT has brought on board a variety of other UK sponsors and supporters who will be contributing to the show’s success. The GREAT Britain Campaign will be using Fit for Fashion to highlight the UK’s position at the cutting edge of international fashion and its reputation for trendsetting, inventiveness and creativity. Through the GREAT Campaign a variety of leading British brands have also gotten involved with the show and their offerings will be showcased across the Asia Pacific region. These brands include Clarks, Debenhams, Ted Baker, Fred Perry, T.M. Lewin, Laura Ashley, STORM London, Reebok, Boots, TONI&GUY, Kenwood, MINI and British Airways, among others. The Fit for Fashion Launch Event was hosted by the Pavilion (Kuala Lumpur), Malaysia’s premier shopping destination, and was officiated by Madam Chong Yoke Har, Deputy Director General (Planning) at Tourism Malaysia. Tourism Malaysia has been supporting the show as it offers an opportunity to showcase a variety of Malaysian destinations during Visit Malaysia Year 2014. The show was primarily filmed at Tanjong Jara, a luxury beach resort in the beautiful east coast state of Terengganu, where the contestants were based, but other locations will also feature during the run of the show. In her speech at the launch, Madam Chong highlighted the positive impact Fit for Fashion will have in raising awareness of Malaysia as a premier shopping destination. This will be conveyed particularly clearly in the show’s finale episode, which is due to be filmed in Kuala Lumpur later this year in conjunction with KL Fashion Weekend and the 1 Malaysia Year End Sale event. During the launch event Madam Chong was joined by Simon Flint, CEO of Fitness First Asia, Riaz Mehta, President and Founder Imagine Group, and Ray Kyles, the UK’s Acting High Commissioner to Malaysia, to symbolically destroy a ‘Wall of Excuses’. This ‘Wall of Excuses’ had been created from some of the most common reasons used to avoid exercise, as selected by Facebook users via an online app. Following the ‘destruction’ of the ‘Wall of Excuses’ the audience was shown a video featuring inspirational stories from eight ordinary Fitness First members who have already ditched the excuses and ‘gone further’ in their search for a healthier life. In recognition of their achievements to date, the eight Fitness First members from Malaysia, Indonesia, Thailand, the Philippines, Hong Kong and Singapore were flown in to the event by Fitness First and took part in a mini catwalk show where they modelled clothes supplied by some of the leading British retailers supporting Fit for Fashion.